Follow all established procedures and guidelines. Perform job duties as you’ve been trained. Always use required PPE (Personal Protective Equipment) and eyewear. Inspect that it is safe to use. Replace worn out or damaged PPE. Make sure all containers are properly labeled and that the material inside is in the appropriate container. Don’t use any material that isn’t labeled properly. Report any damaged containers or any with incorrect or mismatched labels. Read labels, instructions and the Material Safety Dat Sheet (MSDS) before using any material to make sure you understand the precautions. Use all materials for their intended purpose. Never eat or drink when handling any materials. If your hands are contaminated do not touch your eyes or mouth and wash them immediately. 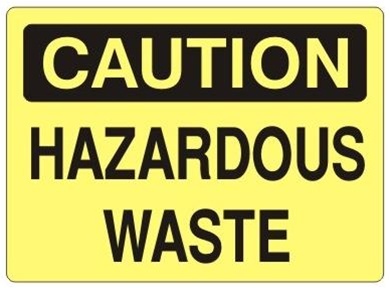 Read the labels and refer to the Material Safety Data Sheet (MSDS) to identify the properties and hazard of chemicals and materials. Store all materials properly and in separate areas. The area should be ventilated, dry and cool. Keep your work area clean. After handling any hazardous materials or chemicals, wash your hands throughly with soap and water. Clean work surfaces at least once per dat so that the risk off contamination is minimized. Learn about all emergency procedures and equipment. Know what to do in a medical emergency if a coworker is injured or exposed to hazardous materials. Understand evacuation routes, emergency reporting and procedures for fires and spills.